The history of Otley Golf Club is probably typical of many similar Clubs but the vision of our forefathers is certainly one that has transformed Otley from its humble beginnings to the Club that we are proud of today. It all began on 18th Sept 1906 when Fred T Hunter, J E Sharpe and Edgar Shaw called a meeting and established Otley Golf Club with a membership of 53 men and 23 ladies. The annual subscription was £2.10 for the first 100 applicants and thereafter new members were required to pay an entrance fee. Storris Hall Farm on Bradford Road (the stone still standing near 3rd & 5th tee is part of the original gateway into the farm yard) was leased for an annual tenancy of £100. In November 1906 work started on the design of the course and the clubhouse was built on Bradford Rd, opposite the present 6th green. Play commenced in spring 1907 with the official opening of both course and clubhouse taking place on 28th Sept 1907. Ladies were requested to organise their own golf and had no voting rights. The first AGM was held in February 1908 with Fred Waite elected as the first club Captain and in the following April he presented a trophy for knock out match play for men, The Waite Challenge Cup, which is still played for today. In July 1908 the club was admitted into the Yorkshire Union. By 1912 membership stood at 180 and finances were reported to be in good order thanks to high visitor numbers. Four subcommittees were in evidence to assist in the efficient administration of the club. Over the following couple of years much discussion took place about raising funds to purchase the land and this was eventually concluded in May 1915. Meanwhile the Ladies section held its first AGM and decided to join the LGU. The Rosebowl was donated and first played for in 1916 and is still played for today. In 1919 the first Lady President was elected and she presented the Presidents Cup the following year which is now a 36 hole competition played in one day. The war years resulted in reduced membership numbers and the club became very concerned about the reduction in income, but managed, against the odds, to survive. The land was requisitioned for grazing livestock to "cut" the fairways and the course was reduced to 9 holes. To mark the end of the war the then President, T H Kelly, presented a new trophy called the Victory Cup which is still played for today. The course returned to 18 holes and membership numbers recovered and rose to 375 over the next few years. In 1926 the first Vice Captain was appointed and bunkers appeared on the course for the first time. The Ladies section too thrived as a consequence of increased interest and participation with over 100 members and Tuesdays became established as the ladies competition day. It was decided at the 1933 AGM that working as a Limited Company was no longer approrpiate and the status of Otley Golf Club was changed to a club managed by its members. In 1936 an extension to the clubhouse, still positioned on Bradford Road, was opened. With the outbreak of war in 1939 the following years were to prove extremely difficult with conditions requiring innovative solutions eg members volunteered to cut and maintain the course. Sheep were again grazing on the course but requests to plough the land were denied. All officers and retiring committee members were elected without opposition and Captain's and President's days were abandoned in favour of competitions for the Lifeboat Institute and the Red Cross. Tranmere Nurseries provided two groundstaff during the summer and Bramhope Fire Service practiced their fire drills on the course watering the greens at the same time. By the end of the war, although membership numbers were reduced, the withdrawal of sheep grazing on the course resulted in a much improved course and membership numbers soon recovered and grew to 355 so a limit was set and a waiting list was required. Ladies were still not allowed to attend, or serve on any of the committees re-established to improve the smooth running of the club and course. In 1946 The West Riding Rabbits' Golf Association encouraged the club to form a Rabbits section thus allowing "longer" handicappers to participate in team matches. The Ladies section joined the Yorkshire Ladies County Golf Association and elected their first Vice-Captain. In 1950 Mr L A Wood was elected President and Mr F L Dixon Captain. They both donated trophies to the club that remain eagerly played for today with the LA Wood Trophy being the most prestigious individual competition for men and the F L Dixon allowing men and women to join together and play Foursomes match play. To mark the 50th Anniversary of the club in 1956, three consecutive open days for Men Ladies and Mixed were held followed by a Jubilee Dinner. By the early 1960s it was realised that a new clubhouse was needed and land in the middle of the course which had been given over to a local farmer during the war was regained back for golf use allowing the course to be extended and re-configured with a new clubhouse placed in the centre of it. After much hard work and dedication by many members both course and clubhouse officially opened in January 1966 and the Past Ladies Captains presented a new trophy to the ladies section to mark the occassion. 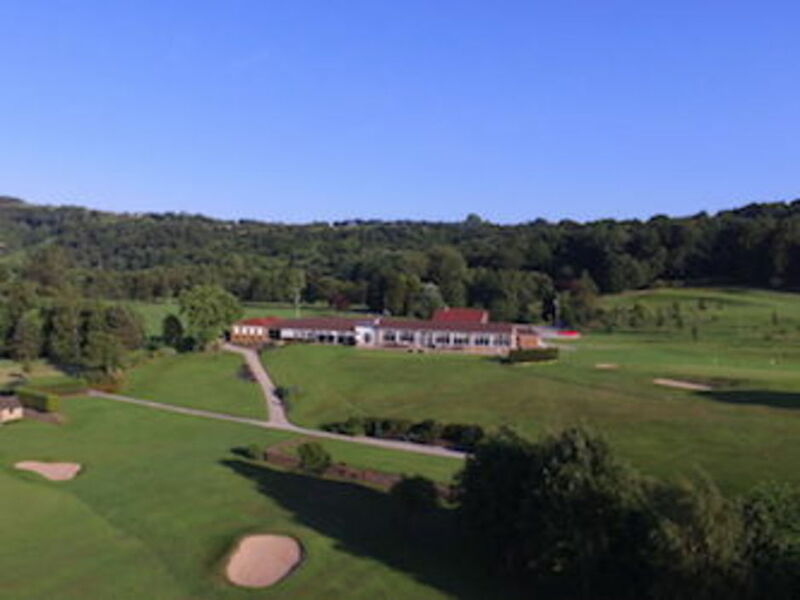 Facilities were steadily enhanced and improved with several extensions over the next few years but the wonderful views of the Wharfe Valley which we still enjoy today from both clubhouse and whilst playing the course, remain the greatest success of the move. Formal rules for the Ladies section were drawn up and a full committee was formed to adminster ladies golf. The 75th Anniversary of the club was celebrated in 1981 with a weekend of competitive golf and a celebration dance in the clubhouse. Guests were met by the Captain and his wife sat in a vintage car placed in the hallway. It was also the same year when the Club moved from the Bradford Union to the Harrogate Union. A request from the professional golfer Mark James to practice and represent the club as its Tournament Professional was granted and he went on to have a hugely successful career including being the Ryder Cup Captain in 1999. The 1980s saw the course become a priority and a concentrated work programme was required in order to recover from the damaging winter of 1982 and the cold and wet summer of 1985 which caused huge flooding and damage. To combat this one of two becks that meander through the course was deepened with an immediate improvement seen. A group of retired gentlemen formed a social group called The Bandits which still exits today and they provide an excellent opportunity for new members to come and join in. The 1990s saw a change in management structure and in 1993 came the appointment of the first Secretary/Manager. During the late 90s steps were taken to involve the ladies in wider club issues including Management and finally in 1999, 93 years after the clubs inception, ladies were permitted to attend the Club AGM and stand for club committees. In early 2000s the lounge, dining room and kitchen were refurbished, the patio was extended and a new course toilet block was built. In 2006 the club marked its Centenary with a festival fortnight of golf ending with a gala dinner which had to be held over two consecutive nights to accommodate the demand. Membership was at capacity with a healthy waiting list - as was the case for most golf clubs - but the global financial crash of 2008 resulted in fewer membership applications, waiting lists being wiped out and bookings for visitors, corporate and hospitality days drastically reduced. With the 2010 Equality Act we acted quickly to identify and eliminate any discrepancies in our procedures. It was established that the position of Club President could be either gender, the position of club Captain was replaced by having both a Gentlemen's Captain and Ladies' Captain, as well as Vice-Captains, all of whom would be Officers of the club working together to adapt to the changing environment required of a golf club by its members. Since then there have been progressive steps taken to ensure equal opportunities both on and off the course. To ensure the club has a bright and financially sound future and is able to withstand the present day challenges, a Development sub committee has recently been established with a remit to develop a vision for the future. Our hope is that Otley Golf Club continues to retain and enjoy a thriving and enthusiastic membership but still attract new participants to play golf here so that we continue to hold our place as one of the top clubs in West Yorkshire well on into the next 100 years. "Can I say a huge thank you to everyone at Otley GC for the hospitality and courtesy shown to us. 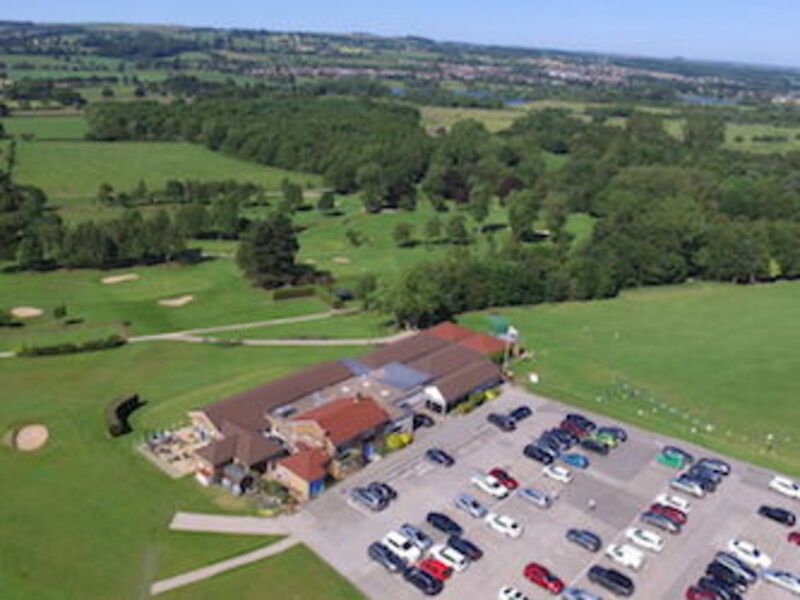 Your course is magnificent and in a beautiful setting; your Professional Team were very helpful and the catering was good quality club fayre"
Excellent golf course and a very relaxed atmosphere in the clubhouse. The 19th has a snooker table and darts board, excellent facilities and great food - couldn't ask for more. Just to say thank you for accommodating us for 18 holes of golf. It was a lovely day, the weather was perfect, the course was great, and the staff could not be more friendly and helpful. Please pass on our good wishes. Find out what’s new and subscribe to latest club news & offers. © 2019 Otley Golf Club. All rights reserved.